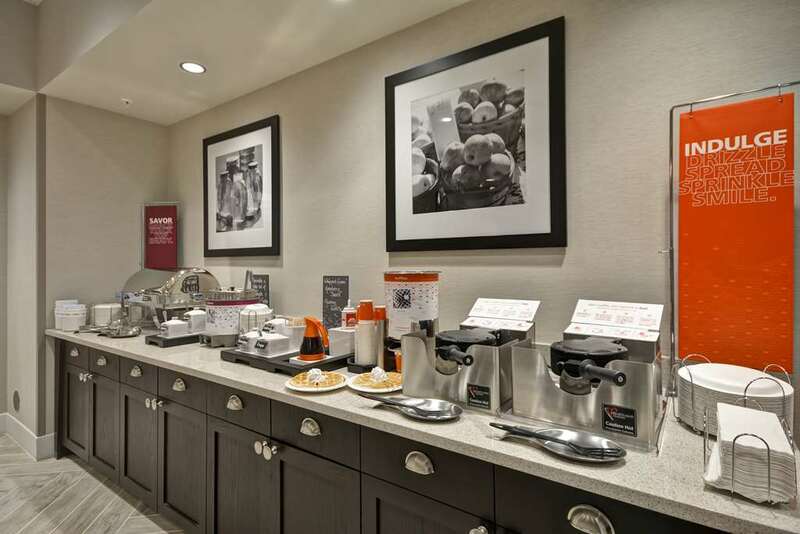 Welcome to our modern Hampton Inn Livonia Detroit hotel with a convenient location near a variety of shops and restaurants. Our hotel*s contemporary and fresh decor will make you feel relaxed while you are here. Our staff is committed to ensuring every guest has a comfortable stay. Sleep well on your clean and fresh Hampton bed. You*ll enjoy the convenience of having a microwave and mini-refrigerator in your room. Catch up on your favorite show on your HDTV or check emails at the work desk with the free WiFi. Upgrade to a suite for more space and a cozy seating area. Start your day off right with a free hot breakfast. In a hurry. Grab a Hampton*s On the Run Breakfast Bag available Monday through Friday. Explore the Livonia Detroit area restaurants within walking distance from our hotel including J Alexander*s Granite City Food and Brewery and P.F. Chang*s. If you need any recommendations please ask one of our friendly staff members. Take advantage of the 24-hour business center a great place to get work done. Our heated indoor pool and whirlpool is a great place to relax after a long day or break a sweat in our modern fitness center.